Efficacy of directly-injected stem cells confirmed for the first time | "Latest Stem Cells News"
Some neck or back injuries that damage the spinal cord can leave a person partially or completely paralyzed. Now, for the first time, doctors at ASAN Medical Center have confirmed the efficacy of directly injecting a patient’s own autologous stem cells into the injured spinal cord. After a severe nerve injury to his neck from a car accident in 1998, a patient named Mr. Park, from Chuncheon, was diagnosed with quadriplegia, or complete paralysis. 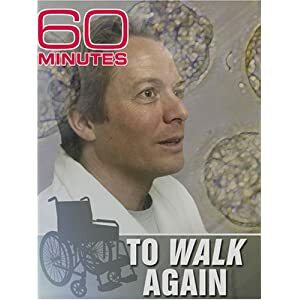 After being bedridden for eight years, he began receiving stem cell therapy in 2006. Gradually, he started to regain strength in his arms, and finally was able to move both arms. Mr. Park / diagnosed with quadriplegia 14 years ago (After receiving stem cell therapy), I was discharged and went home. (After injuring my cervical vertebra), I had lost my sense of smell, but when I brushed my teeth in the morning, I could smell the toothpaste. So I knew my body was getting better! From that moment, I started to regain sensation in my arms, little by little. A team led by Dr. Sang-Ryong Jeon conducted a long-term study on ten patients with chronic spinal cord injuries. 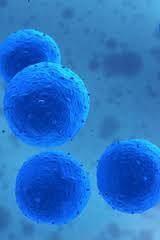 After undergoing direct injection of autologous bone marrow mesenchymal stem cells (known as MSCs), three of the ten patients showed improved symptoms. The clinical data has drawn even more attention because it came from a study of patients with chronic spinal cord injuries that was Korea’s first investigator-oriented study. It also represents the first research findings in the world to objectively confirm the efficacy of this type of stem cell therapy. Dr. Sang-Ryong Jeon / Dept. of Neurological Surgery Every time a series of MRIs was done on patients who received stem cells injections in their spinal cords, gradual changes were clearly apparent. The changes produced in the spinal cord tissue actually improved patients’ motility and strength. The stem cells were harvested and then cultured for four weeks. 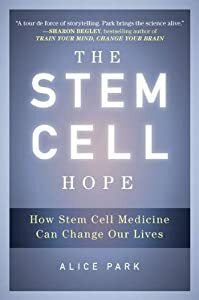 Next, about 8 million of their own autologous stem cells were injected into the spinal cord of each patient. About 40 million stem cells were injected into the subdural space between the spinal cord nerves and membranes. In the final procedure, about 50 million stem cells were injected directly into spinal cord membranes in the back. These research results are a beacon of hope for those with spinal cord injuries and Dr. Jeon’s team plans to continue its research to enhance the efficacy of the treatment through genetic manipulation of stem cells.